This is the first comprehensive field guide dealing exclusively with the birds of this spectacular region. It covers all resident, migrant and vagrant species found in Macaronesia (Canary Islands, Madeira, Azores and Cape Verde). 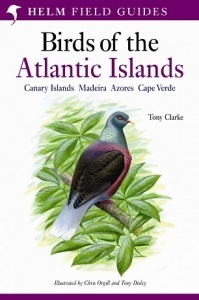 Over 450 species are illustrated (By Chris Orgill and Tony Disley) with full details of all the plumages and major races likely to be encountered. Concise text describes identification, status, range, habits and voice. 320 pages, 56 colour plates, maps.